This Cabretta Rectangle Table Top features a dark brown or weathered gray, leather-looking finish, resulting in a traditional or rustic environment for your outdoor patio. Radiused sides create a unique style, while providing more elbow room. The arc of the sides of the table top and sculpted edges orient people towards each other, inviting conversation. 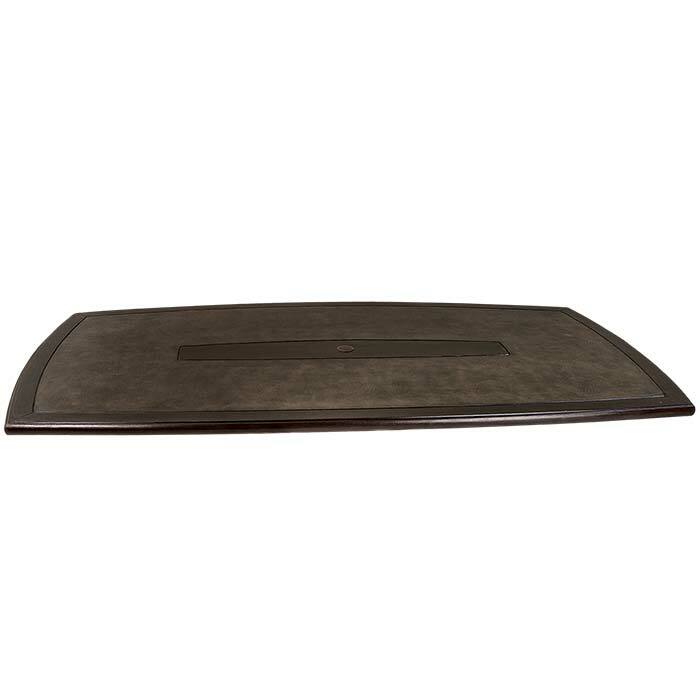 This Cabretta Table Top features an island, a design element in the center of the top that creates visual interest. Made of glass-reinforced polymer, Cabretta Table Tops pair with Tropitone's universal 5000 series bases.